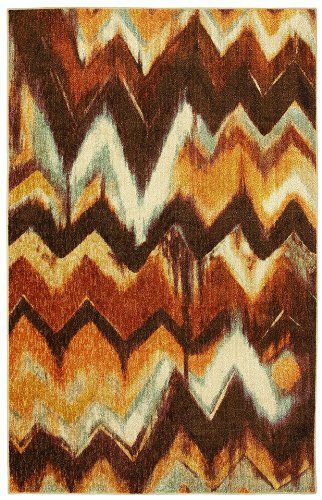 In vivid earth tones and inspired by rust, this abstract chevron stripe is a must have for the home trendsetter. Printed on the same machines that manufacture one of the worldÍs leading brands of printed carpet, this rug is extremely durable and vibrant. This technology allows the use of multiple colors to create a rug that is wonderfully designed and applicable to any room in your home.